When I was in High School, someone wise once said to me, “There is nothing more attractive than attention.” My life so far has seen that proven true time and again. Any good relationship, including one with a horse, should start from a base of attraction. So how do we cause a horse to want to be with us? When I first brought Saavedra home, my wild mustang mare only four days in from the range, we tested that theory of attention and attraction and it surpassed all my expectations. As I prepare myself for my new Mustang, and this project of challenging the “normal” course of building a relationship with a horse, I find myself looking deeply at the base structure of what makes a relationship work. Studying psychology and relationships, human and equine, I keep coming back to the idea that the relationship with others is interdependent with our relationship to ourselves. What if the most important task in this life is to pay attention to ourselves and our emotions, then to pay attention to those near and dear to us, letting actions blossom out of that awareness. It could be as simple as noticing where my body is in space and where the horses body is in space, and how we can physically interact with the most harmony. It could delve deeper into how I feel as I stand here, how my horse tells me he feels as he stands next to me. If I have no rope to hold him to me, and no stick to threaten him into obedience to me, I had best study what would cause him to want to be with me as we learn together. The quote that heads my blog is an intoxicating statement of what life is about for me. Life is incredible, and astonishing, and beautiful, and sad, and painful, and hard, and joyful, and bleak, and blissful, and any other adjective you can think of- life is that too. I was once diagnosed with bipolar disorder, so perhaps I feel the extremities of emotion more than most. Perhaps that is why I strive to understand how the horse feels, and help him feel better with me at every turn. I have never chosen to go the route of medicating my condition because I couldn’t imagine life without the incredible highs. Instead I have done my best to study and understand the psychology behind the roller coaster of emotions life takes us on. Enjoy the highs, and hang on tight to the knowledge that everything changes and nothing lasts forever, when the lows hit. I believe the more I can understand and help myself, the better I can understand and help my horses. We are all in this together. There’s an old axiom: “What you can feel, you can heal.” If I want to be healthy and strong and the best of myself, I want to feel everything, and learn from it. I will admit, from where I stand that is often overwhelming. When overwhelmed, all of us come up with coping mechanisms- ways to shut down and protect ourselves. Mine has always been food, or lack of it. When that churning, nauseating, gut-wrenching, emotional pain would hit, I could dull it with enough food to sink a ship and get on with my life; or I could embrace the pain as inescapable, hopeless despair and eat nothing. Since I was a teenager I have oscillated in weight depending on how much I was willing to feel my life and how much I was overwhelmed and felt I had to shut down those emotions to survive. My weight has been as low as 118 and as high as 178. Thankfully, for the most part I have stayed in the middle of that range, and every year I feel I can be a little more me without shutting down, a little more aware of the emotional patterns and how to learn from them. Horses have been one way for me to step out of my own skin when I am overwhelmed by what I feel. Relationships can be a blessing that way. When my own emotions are too intense and I need a break, I can take a step back, pay attention to my horse, watch, listen, and feel what is going on with him. My horse is often my mirror. I can see for him what he needs to do to feel better, then take my own advice and apply those actions to myself. Does my horse need to move, does he need to be still, does he need to yield, does he need to breath, does he need to be close to me, or is it better to have us at a distance from one another. Whatever I see that he needs, usually is powerful in making me feel better too. The better I feel, the more attractive I become as a partner. The better I cause my horse to feel, the more he will want to be partnered with me. I believe there is no pinnacle, ultimate, or limit on how good one is able to feel. Here again I think we can come back to Csikszentmihalyi’s chart. The more developed our skills become, the greater challenges we will be inspired to take on. Conquering the challenges leads us to higher skills and so on…. Its just important to keep the basis of relationship in mind throughout. Attention creates Attraction which causes partnership. Emotions cause Actions and Actions let us conquer Challenges. Conquering Challenges creates Skills. If we pay attention to Emotion, it lets us know if we are focusing on the right challenge for our current skill level. The logic is beautiful, living the emotions can be more than we know how to handle sometimes, for both horses and humans. It snowed almost 6 inches this week. Playing with Saavedra at liberty the last two days in the sun and the snow with all these ideas fresh in my mind… Saavedra offered me partnership I have never been offered by any horse. I have always been a slightly domineering trainer, valuing control and obedience in my relationships with horses. I have always longed for horses who would gallop to be with me of their own volition, not because of threat or the lure of the grain pan. Relationships built on control and obedience have not brought me that kind of enthusiasm. Thursday evening, I walked out into the paddock. Saavedra was in the woods, on the other side of the arena. She picked up her head when I ducked under the fence, and then, with a beautiful abandon, galloped flat out through the woods, across the arena, and into the paddock, all the way just to see me. All I could do was stand there and grin. She wanted to be with me, pure and simple. Attention is powerful, Attraction is beautiful, Emotion is enlightening and Actions speak louder than words. One Mustang directly off the range, One trainer, No tools, Just body language. When I began my journey into Natural Horsemanship under the guidance of Sus Kellogg, one of the first things I asked was, “How soon will I be back to my jumping, dressage and three day eventing?” The only answer she would give me was, “In three months, you will be really happy with your progress” It wasn’t the answer I was looking for; it was, however, all she would tell me. She was correct. After three months devoted to Natural Horsemanship with my horse Zohari, there was no turning back for me. 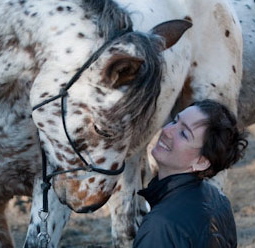 The high I got from this way of being with horses was beyond anything I had ever known how to access intentionally. No matter the style of riding or training, there are highs and lows to everything. With the conventional training I grew up with, I usually felt at the mercy of luck. Some rides were magical, some were miserable. The magical rides kept me coming back for more, fighting through the rough days, hoping, as my skill increased, my proportion of perfect rides would start to outnumber everything else. We all have our own reasons for spending time with horses. I often question my reasons at this time of year, as I slog through the muck, groom endless sand out of my horses woolly coats, bow my head to the wind, and laugh into the drenching rain as I stubbornly ride through the elements. Why do I do this? Is there really enough magic in this relationship to draw me out there with the horses again and again? Yes, the answer is unequivocally yes. There is nothing on earth that makes me grin like horses do. Horses make me feel stronger and faster than I could ever be on my own. That has always been the draw for me. As a child they let me run faster than my own feet would carry me, and they let me jump higher than my own drive could propel me. The only trick was convincing them to lend me that strength and speed, to give themselves over to our partnership. Sometimes they did and it was magical; sometimes they didn’t and it was….. anything but magical. My natural inclination toward speed and power led me to love jumping, and later endurance riding. 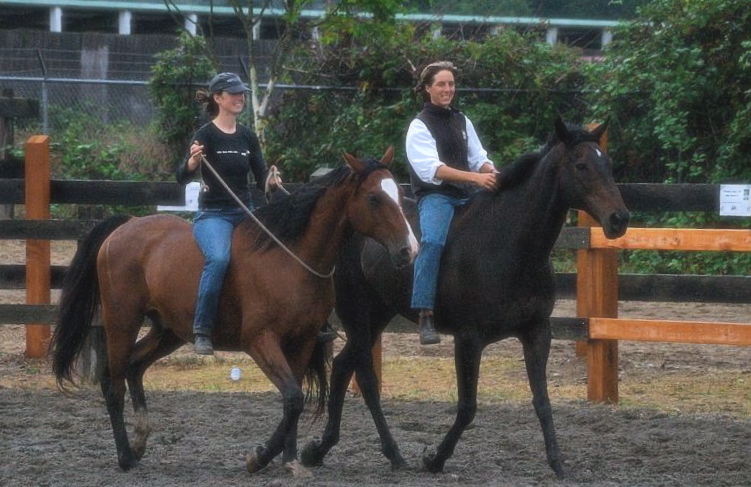 The determination to find more consistent partnership skills with my horses led to intense study of Dressage, and later Tellington Jones Equine Awareness Method and Centered Riding. Of all the disciplines I have studied… why Natural Horsemanship now? It is only through Natural Horsemanship I finally feel I have a language to explain and understand the best parts of all the horse disciplines I have studied. Through Natural Horsemanship I now can see the steps and progressions people and horses travel through. It makes sense in a way that puts those magical rides accessibly in my experience day in and day out. It isn’t luck anymore; I know exactly how to find that Flow and drop directly into the Zone with my horses. Of course there are days when I don’t, but even when it is difficult, it doesn’t feel like random luck anymore. Now I usually can see the cause of a rough ride, step back and learn from it. That is what Natural Horsemanship has given me. There was a day when all I wanted to do was run and jump. Now I find myself entranced with the question, what would cause a horse to want to run and jump with me? What would cause a horse to WANT to do anything with me? What are the principles behind partnership? Can I see the process, and the evolution in every step, in every moment, in every breath…..
That is horses for me now. That is what Natural Horsemanship has given me. I still love to run and jump with my horses it just has deepened beyond that to include developing the will, and the desire, above and beyond the simple execution of action. 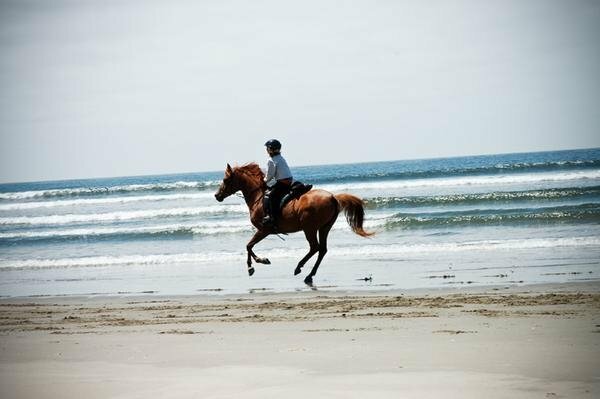 I do not consider other methods of training horses “less than” Natural Horsemanship. Any method that brings people and horses together with any degree of joy is beautiful in it’s own right. Natural Horsemanship has just given me an understanding of the underlying basis of relationship between horse and human in a way I am forever grateful for. Natural Horsemanship has given me the tools to attempt this project. My hope is that I now understand the principles well enough to move beyond the status quo, to take the building of relationship between horse and human beyond training pens, ropes and sticks. To break it down to the bodies in play, and see what we can do together…. 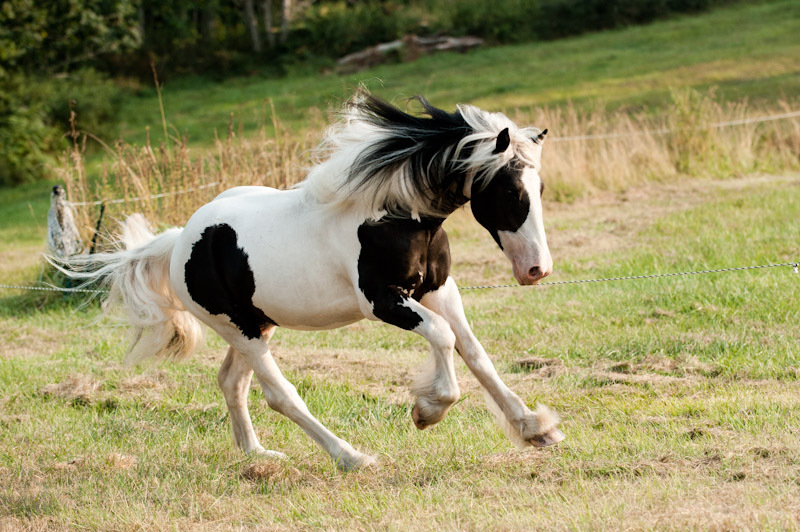 Here is to the beauty of simplicity, the power of horses, and the joy they bring us every day, rain or shine…. I believe what we FEEL is the greatest driving force for what we do. Our emotions become our motion through life. And then our motions feed our emotions. It is an interconnected cycle. I talked about Csikszentmihalyi’s chart a few weeks back, and the beauty of understanding how our emotions can give us insight into where we are standing in the range of our challenges and skills. Today I want to talk about cause and effect. How do we cause a horse to move in such a way that he feels increasingly better? How do we cause a horse to feel increasingly better so he chooses motions that improve his life? If we as humans can have a part in this developmental process with the horse, I believe it has an unbelievable bonding affect between horse and rider. The better a horse feels in his own body and the more he connects those positive feelings with his partners in life, the better partner he becomes. We all know what it feels like be so emotionally distraught, the stomach becomes tied in knots, churning in anguish. It is an emotional feeling, that becomes a physical motion of the intestines. When horses become caught up in those emotions, the motions of their bodies can become dangerous, with their intentions aimed in self defense, far from the partnership we seek with them. Klaus Ferdinand Hempfling’s work with horses is some of the most thought provoking for me when considering the links between emotion and motion. If we consider the way emotions can tie the stomach in knots perhaps motions that address the physical movements of the stomach can in turn change the feelings behind the movement. When we feel self defensive, we brace against the threat. Often the more we brace, the tighter we feel and the tighter we feel, the more defensive we get. If instead we learn to yield and soften from the threat, perhaps the defensiveness will dissolve, and partnership can evolve from there. It is not just rude for a horse to swing his rump into your space, it is a clue to you about how he feels in his gut, what his emotions are doing to him. It is simple instinctual self defense. All the horse wants is to feel better. I believe, if we can teach a horse to yield softly through the flank, we give him tools to feel better. This is an interesting demonstration of that by Klaus. You can see the horses brace and tightness in the flanks as he is emotional and upset. Watch Klaus yield his horses flanks back and forth until they can settle, find confidence, and move on in harmony. 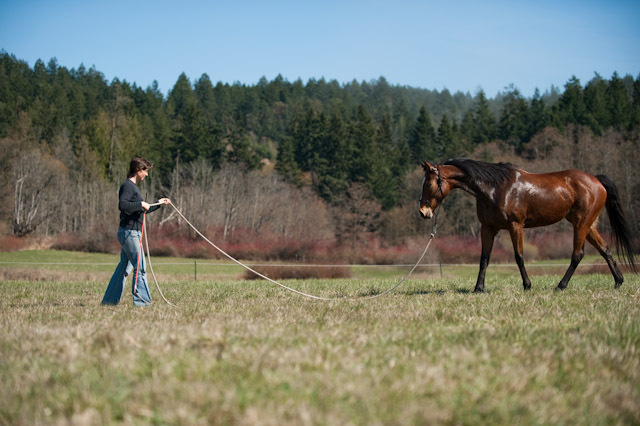 Klaus uses his ropes and sticks and training pens minimally compared to most horse trainers. His horses seem happy, connected and perform at a high level of skill. The work I will be doing in this project, with my Mustang, will be different. However, I do believe the softness and yielding in the flank will be a strong base and building block of our relationship. Working without the tools I would need to control the horses body after the emotions have driven things out of hand. I must seek first to develop the emotional stability of the horse. Causing him to feel comfortable in his own body. Which I believe will cause him to make choices serving the best interests of our partnership. 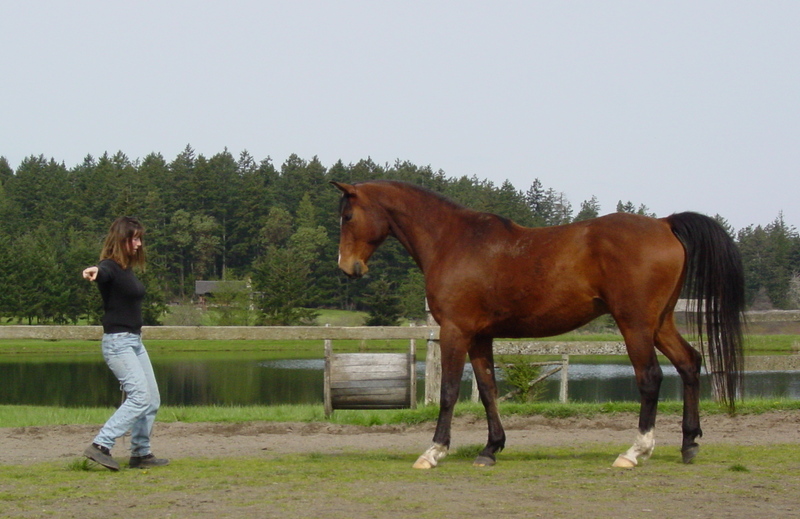 If my horse always acts like a partner, I have little need for external tools to control his physical actions. I am deeply grateful for the clarity and beauty Klaus has brought into the horse world with his work. He is an inspiration to many. The plan is to adopt a new Mustang. A wild horse, fresh off the range, as natural and untouched as is possible. I have an idea of what it might look like to develop a riding partnership with a horse, using only body language, no tools of force. I would like to test the validity of my hypothesis with a partner who has not yet been habituated to human requests. A partner who will act like a horse and give me responses untainted by previous human interaction. A horse that will act like a horse, and respond as a horse would respond, unfettered by any previous understandings of human expectation. The original plan was to spend a year building up to this. Write, meditate, and walk through potential processes with horses that do already know me. 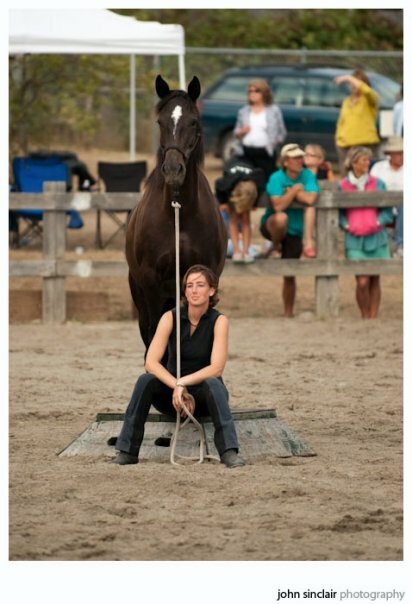 Ease myself into this challenge with the help of horses that already trust and respect me. With some careful thought about the process of documentation, I am leaning toward starting the process earlier. Basing plans on my projected year of documentation, if I start with my new Mustang partner in August, then I have some beautiful fall weather to take pictures, and video of the very beginnings. Following that, I will have the winter to work slowly and thoughtfully between rain storms. Perhaps by spring I will have built a strong connection and be ready to make the most of the glorious spring and summer weather in the San Juans with my new Mustang partner. That leaves me with six months left to prepare, play, and contemplate the challenge. This blog entry is about a few of the horses who are doing their best to educate me. Four mares live outside my front door. In the summer our horses have the run of a hundred acres of pasture. 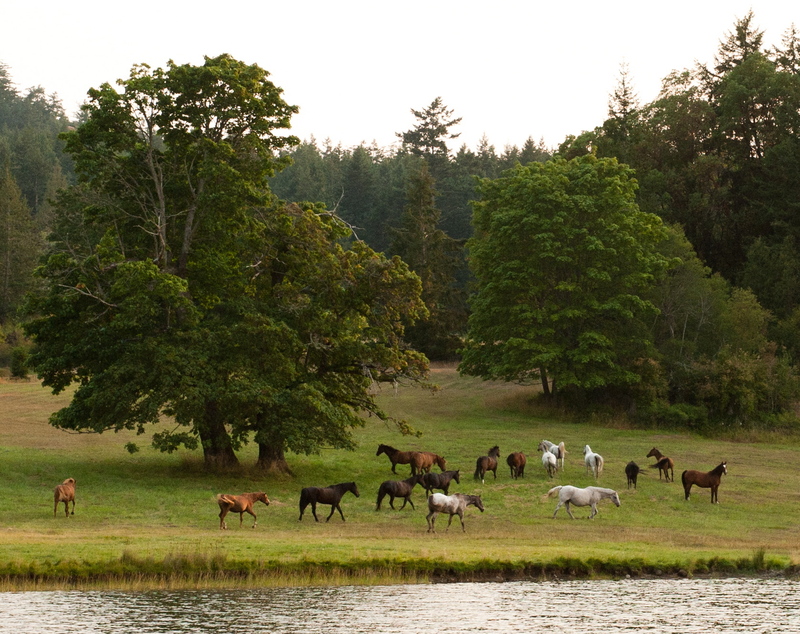 They live in a marvelous herd of almost twenty horses and life is good. In the winter, those pastures mostly flood, and become waterlogged and fragile where they are not flooded. So the horses are separated off into smaller herds of compatible horses, and kept on gravel and sand closer to home, waiting for summer to come around again. I know they miss their freedom and family life, but selfishly I love having them close. These four mares are dear to me, and are incredible fun to develop ideas with. They greet me when I come out the front door in the morning, and they kiss me goodnight at the end of the day. When I can’t sleep they let me curl up in the hay manger and nuzzle me between bites of hay. When I am teaching students, they help me with endless patience, and are always interested in whatever might happen next. They are as individual as any four people you might spend time with, and when I have a new training idea to try out, each one of them gives me a different perspective to think about. Saavedra is my Mustang mare I wrote about two weeks ago. She is my girl. My number one equine partner. She is my current Levels Horse for the Parelli process. She is my demonstration horse. She is my mount when I teach. She is my best friend. She stretches me to learn all the time. She is independent, and dominant. She is so confident in herself, she is a leader within the herd. Yet, she is a skeptic, and often lacks confidence in the new or unexpected. Often I will find the other three horses in the sheds eating hay, and Saavedra will be out in the woods by herself. She was wild, she doesn’t need sheds, or people, or confined spaces. She is self sufficient. If things get stressful, she will drive all the others out of the sheds too, take them all out to the woods, try to convince them they are all better off away from confinement. Because of my life being full and busy, I love having a horse who seems as happy to see me as not. Who likes to play, but doesn’t seem to need it. It used to be, when she saw me, she would look me over and if I invited her, she might come see me, or not, depending on her mood. We were partners in an independent sort of way. When I would ask her to do something she would expend the least amount of effort necessary, and yet somehow show me she had so much untapped talent. Power and beauty she might express if I asked her just right, maybe. For me she is perfect, I have to earn her partnership. She makes it clear she doesn’t have to do as I ask, she does it because she chooses to. She makes me work for it, and when we get it right together, there is an incredible thrill I think we both feel. This last few weeks, as I have been playing with her more without any tools, and exploring new ideas with her, she has dramatically shown more and more desire to meet me at the gate and ask me what took me so long to get there. There is a whole new dimension to our relationship blossoming with unexpected momentum. Antheia is the youngest member. A mustang as well. Only a year old, but she is a horse beyond her years. I met her at the Oregon State Fair last year. She was in a pen with three other Mustangs up for adoption, brought up from the BLM facility in Burns OR. Antheia is a simple grey color, less flashy and eye catching than the others were in that pen. Yet, to me, she was the one that caught my eye. There is a steadiness about her. Like nothing rattles her. She isn’t dull, just too intelligent to be easily shaken. She always seems completely in the moment, soaking everything in with no thought of yesterday or tomorrow. She gives you her full attention; when you are with her, there is no one else. When I am with her, I always feel special. Those days at the fair I spent hours by her pen. I knew I shouldn’t take her home, I didn’t need another horse, and even as I filled out my adoption papers I explained to Gary, the man in charge, I was only taking her home with me if no one else stepped forward to give her a home. Fate was my ally. I came out of my last halter class with a ferry to catch and very little time. Antheia was still without a home, so I told Gary she could come home with me if she got in the trailer within the next ten minutes. She did. I think she actually may have loaded more quietly and simply than the other two youngsters we had brought to show. She traveled with a wisdom far beyond her age and experience. She unloaded to spend the night on Orcas Island, then loaded into a different trailer without fanfare the next day to come home to San Juan with me. She is young and fresh and keen about everything, while maintaining a Zen like intelligence. She is probably the easiest horse I have ever spent time training. When I ask her to do things, I feel she would do anything for me, yet, she will look deep into my eyes and let me know I had better have a good reason for asking. Everything means something to her, and everything I do with Antheia, I feel she is soaking up and remembering. No moment is ever lost on her. Maharrah is the newest member of our herd. 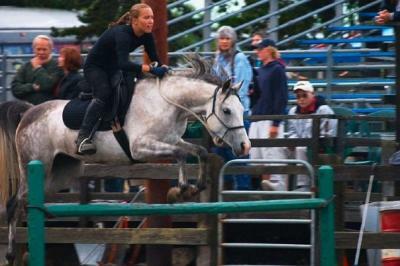 An Arabian mare I fell in love with years ago when I was teaching in Portland, Oregon. Be careful what you wish for, as you may get it. In the fall of 2010, Maharrah’s rider, a young girl, decided she was ready to move on to other focuses in life. Maharrah was part of their family, and how do you sell a family member. They contacted me in search of the perfect home for Maharrah and I found myself desperately wanting to be that home. The pieces fell into place when my daughter, Cameron, needed to let her horse go for the winter. She had been sharing him with his primary rider, Megan, an eighteen-year-old girl. Cameron was heart broken to lose her partner, Shahan. I saw the opportunity to invite Maharrah into our life, and let Cameron, for the first time, have a horse of her own. Maharrah is hot, a classic Arabian, chiseled head and swan like neck. Moves like a dancer, with balance and rhythm. Unlike most Arabs I have known, she has very little spook, Her attention seems to be hyperfocused. She notices everything and it seems that little can surprise her. She is sensitive and light and can leap about as life seems sometimes unbearably exciting to her. Yet, she settles quickly, and is far more sensible than you expect such a sensitive mare to be. She likes being close, but not too close, there is a palpable bubble around her, as though her body takes up more space than its physical dimensions. She is alert and sensitive and light on her feet, and somehow solid and steady too. Savannah. A conundrum to describe. She is also a chestnut, Arab mare, like Maharrah, and yet vastly different. She was a rescue case for us years ago. A mare for whom opposition was the first answer to everything. When we started riding her, in the days before understanding horse psychology and Natural Horsemanship, if you asked her to go forward, she would slam on the brakes and grind to a halt with ears pinned, push her and the bucking would begin. Many devoted students poured time and love into her, and little by little she blossomed into the interesting convoluted character she is. She loves to be treated like a princess, loves the coziness of a stall. She will always enjoy a cup of tea with you- quite literally loves to be brought a bucket of warm water to drink. Loves people so long as they are polite (when a little girl met her the other day and walked right to the shoulder to stroke it, Savannah let out a squeal and a stomp. I had to explain that Savannah would prefer you approach with hand outstretched to be smelled before stroking.) She likes to be in the vicinity of horses and can be quite herd bound, but doesn’t want to be too close. She travels with the herd almost as a satellite member. When cornered, she can be quite aggressive in her actions. She feels a good offense is the best defense. She is not dominant, just extremely defensive in protection of herself. To ride now, she is the lightest, softest partner. You can open any gate from her back, and she loves to head out in the lead with confidence down any trail. Unfortunately, her strong self-defense and lack of tact with other horses led to some lower leg injuries this past summer. As of now she is just starting to come sound at the walk, so her days of heading out on the trails are temporarily suspended and she is spending time working quietly with me. She is excellent at letting me know, in her very opinionated way, exactly how polite she thinks I should be as I develop and test out my liberty training ideas. Thank goodness for such wonderful teachers. While I have many many helping me develop through this phase of the project, these four mares are my active herd. I am counting on them to help me sort through and evolve my ideas of liberty training . They know me, they trust me, and they respect me already. For the next six months, I will work with them both under saddle, using the usual tools, and also through the liberty processes I hope to utilize with my new partner. Savannah perhaps has the freedom to stay working with me strictly at liberty as she heals from her injuries. The other three will be doing double duty as my working partners, helping me teach the methods in which I am already confident; and also working as my partners is experimental science. Helping me expand the possibilities currently at play in the world of horse training. Thank you to all the horses and people in my life who expand who I am everyday.